J brought her Engagement ring to us with the hopes that we could create a wedding ring to go with it. 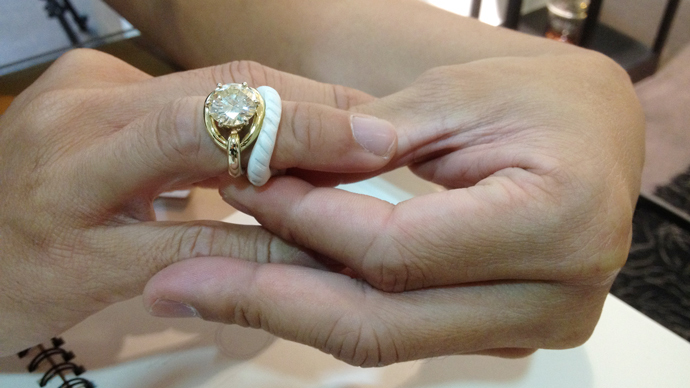 Being an heirloom Diamond, it is not a ring she wears everyday, but she still wants to be able to wear both rings together. The trick was to make a ring that would not compete with the Diamond, yet stand on its own when worn alone. We needed a ring that was solid enough to match the large Engagement ring. 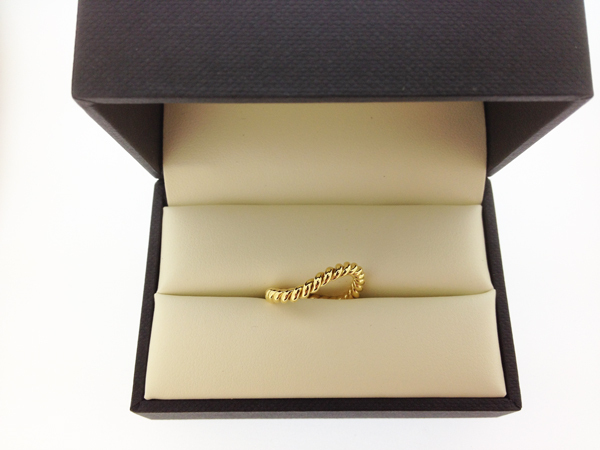 The rope detailing breaks the set visually, so that it is not simply a repeat of the Diamond ring. The curve sits beautifully around the Diamond – and looks so simple and classic on its own!